Guaranteeing equal employment and accessibility opportunities and prohibiting discrimination against the disabled, the Americans with Disabilities Act (ADA) is one of America’s most comprehensive pieces of civil legislation on the books. The 2010 ADA Standards set minimum requirements, both scoping and technical, for state and local government facilities, public accommodations, and commercial facilities that are newly designed and constructed – or altered readily accessible to and usable by individuals with disabilities. Scroll down to find the online ADA courses from Architects Training Institute that will help you stay current and refreshed on 2010 ADA guidelines and important ADA compliance standards. The ADA training below comes in the form of online video courses that also satisfy renewal requirements for HSW credit hours in many states. 2010 ADA Standards: Accessible Routes: One-hour online video course covering Chapter Four of the 2010 ADA Standards. 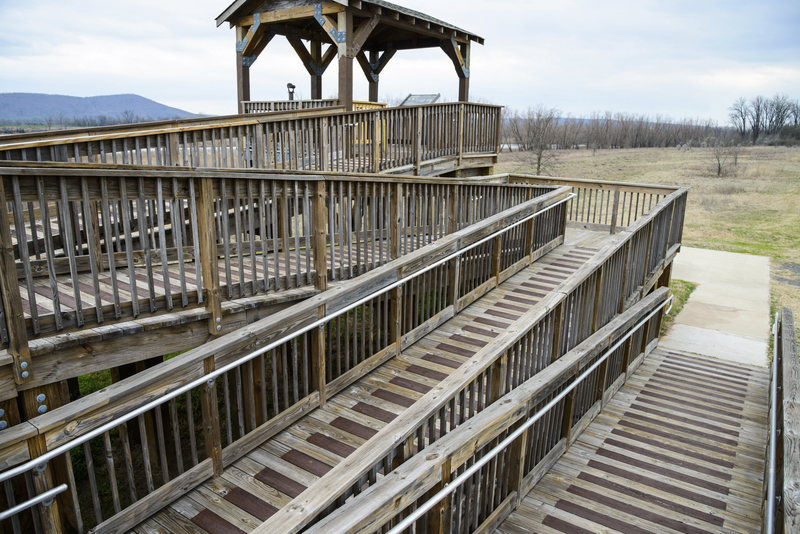 You will be able to recognize adequate accessible routes for people with disabilities and identify requirements for doorways, ramps, and platforms. 2010 ADA Standards: Special Rooms, Spaces, and Elements: One-hour online video course covering Chapter Eight of the 2010 ADA Standards. Know the importance of circulation pathways and ADA requirements for lodging, dining, courthouse and public transportation facilities. 2010 ADA Standards: Plumbing Elements and Facilities: One-hour online video course covering Chapter Six of the 2010 ADA Standards. Know the importance of adequate plumbing elements including drinking fountains, toilet facilities, bathtubs, and showers, as well as applicable hardware. 2010 ADA Standards: Recreational Facilities: Two-hour online video course covering Chapter Ten of the 2010 ADA Standards. You will be able to identify ADA requirements for amusement parks, fitness equipment, golf facilities, play areas, and swimming/boating facilities. 2010 ADA Standards: Exterior Building Blocks: Three-hour online video course covering Chapters Three, four and five of the 2010 ADA Standards. Recognize how exterior exponents can and should comply with ADA requirements, including maneuvering space and accessible routes. 2010 ADA Standards: Interior Elements: Three-hour online video course covering Chapters Six, Seven, Eight and Nine of the 2010 ADA Standards. Know the requirements of proper plumbing, communication, special rooms, and built-in elements. 2010 ADA Standards: Real World Applications: This Six-hour video course covers the second chapter of the 2010 ADA Standards for Accessible Design. Scoping Requirements and real-world examples of problems and solutions are included in the course.